This episode presents a few problems in regards to the Horta itself. First, how did the Horta know what part to steal to shut down the facilities life support system? There is no indication that the Horta has any sort of technology, so it’s really far-fetched to believe it would understand Janus 6’s Technological Systems. Second, How exactly did the Horta disconnect the required part in the first place, and then transport it out of the life support centre? I don’t see any hands on the Horta. Vanderberg’s button on the underside of his office desk, the one to open the door, seem to move during the episode. In one scene it’s close to the centre of the desk, and the next time he uses it, it seems to be near the end of the desk. Why exactly does such an important facility NOT have spare parts to fix such a potentially major problem? Near the beginning of the Episode, Spock comments that the Organians are a D- on the Richter Scale of Evolution, that they had been stagnating for about 10000 years and the Federations belief that their society was making its way toward mechanization was incorrect. If this is true why doesn’t anyone comment on the automatic doors to the council chambers? After the Klingons Occupy Organic, Kor posts rules for the Organians to follow. one rule is that there are not to be an assembly of people in groups of 3 or more. Why then does Kor continue to let the council of 5 people meet? 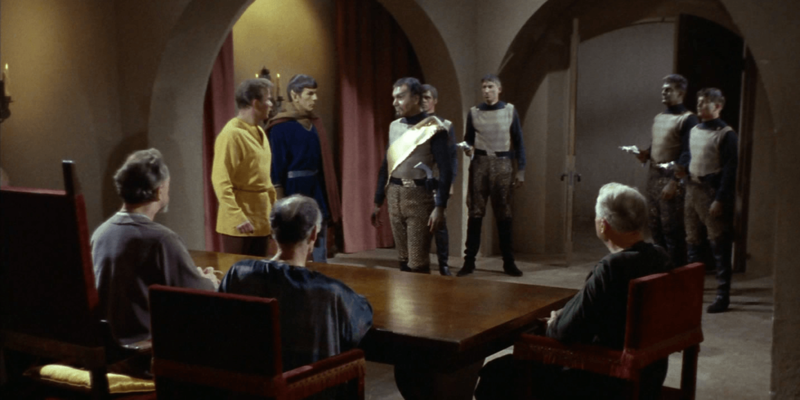 After a Kirk bumps into a Klingon and Spock intervenes preventing a brawl, Kirk and Spock discuss quite openly their plans against the Klingons and Spock even calls Kirk Captain. So why doesn’t the Klingon Officer, only a few feet away report this? The Klingons MUST buy their weapons for the Eminians… See A Taste of Armageddon. Spock comments on how odd the behaviour of the council is, referring to their lack of ambition when it comes to fighting for their planets freedom. What about pacifism being the highest virtue in Vulcan culture? See The Savage Curtain. After Kor discovers Barona is Actually Captain Kirk, Kor offers him a drink. I guess the future DeHar Master doesn’t know the Klingon Code, Drink not with thine enemy as described by Q in the TNG episode Hide and Q. The munitions dump scene presents us with 2 problems. First where in a Munitions Dump are all the guards? It seems really unbelievable to think that a race like the Klingons would just leave unguarded weapons out in the open. 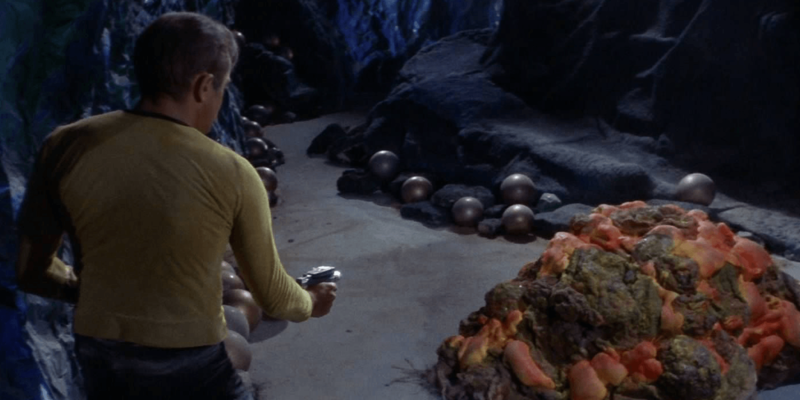 Second, why does Kirk shelter himself against a wall when destroying the munitions dump? Especially since there a close better shelter in the form of an alcove nearby? After Kirk and Spock take Kor, prisoner, Spock removes Kor’s disrupter. Later when Kor heads over to his desk to use his comm unit, suddenly he’s wearing it again. Then after he moves around the desk, suddenly it’s gone again. Kirk makes an odd comment at the end of the episode. He says it’s unsettling to know that Humans aren’t the most powerful beings in the universe. 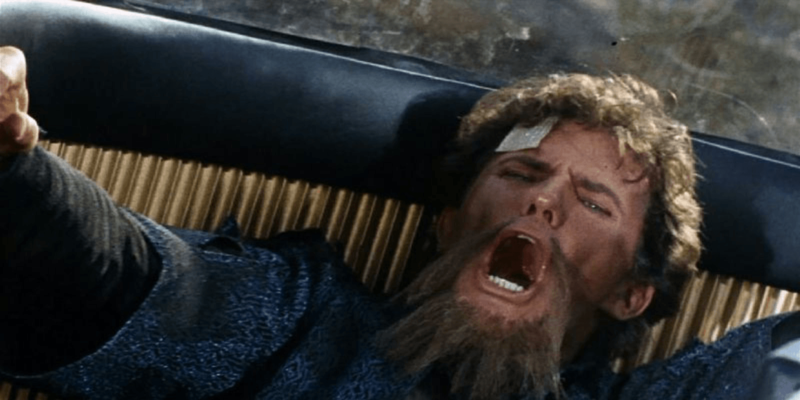 Kirk must be unsettled a LOT because up to this point we’ve seen the Thespians, The Talosians, Balok, Trelane, The Metrons and the Builders of the Amusement Planet, ALL of which are more powerful beings in the Universe. At the beginning of the episode, how exactly does the Commodore know that the distortions hit all areas of the galaxy and beyond? Does Starfleet have almost instantaneous contact with other galaxies? the answer? 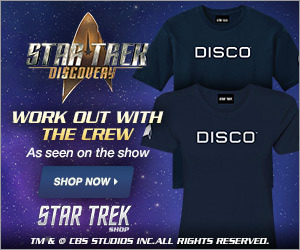 No, See Star Trek Voyager. Why exactly does Lazarus have easy access all over the ship? he’s a clearly disturbed individual that appeared suddenly coinciding with a distortion from the planet. Especially considering that Starfleet and Kirk are so worried that this all might be a prelude to an invasion? Why isn’t he under close observation? The medical panel in sickbay must be malfunctioning again. After Lazarus gets up from the bed the Med Panel continues to thump away as though someone was still lying there. When Kirk takes McCoy to search for Lazarus with a head wound you can see 2 red Alert panels. However only one is flashing, the other’s light bulb must be burnt out. Starfleet must LOVE the design of the Neural Neutralizer from Dagger of the Mind. It makes another appearance in this episode, this time as a console in Engineering. Why does Kirk keep referring to the woman Engineer as Lieutenant? take a look at her uniform. There is no Lieutenant stripe on it. 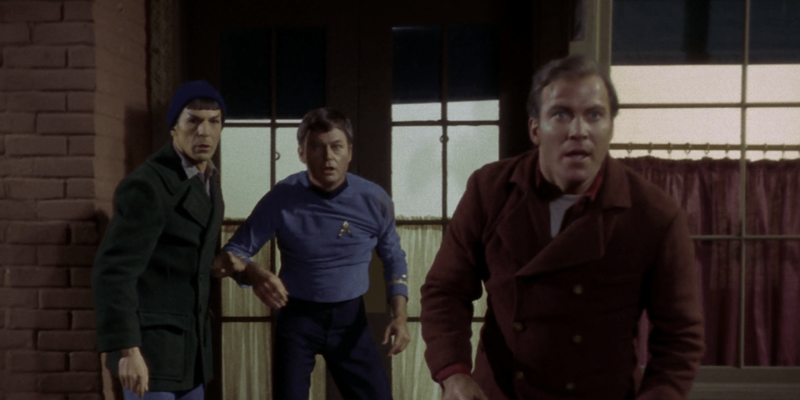 After McCoy injects himself at the beginning of the episode, he begins to scream, why exactly do Kirk and Spock just stand around while this is happening? Speaking of McCoy, isn’t it unbelievable that he can throw off Spock’s grip? See This Side Of Paradise. Why doesn’t Uhura use her tricorder to locate Doctor McCoy on the planet’s surface? Shouldn’t it easily be able to that? How exactly did Spock’s tricorder record the historical events that happened after McCoy steps through the Guardian? The Guardian stops playing them immediately? Of course, if it hadn’t, he wouldn’t later have been able to discover that Edith Keeler was the focal point of the time changes. Speaking of the Guardian, early on the Guardian explains that it can only run time at a fixed rate. 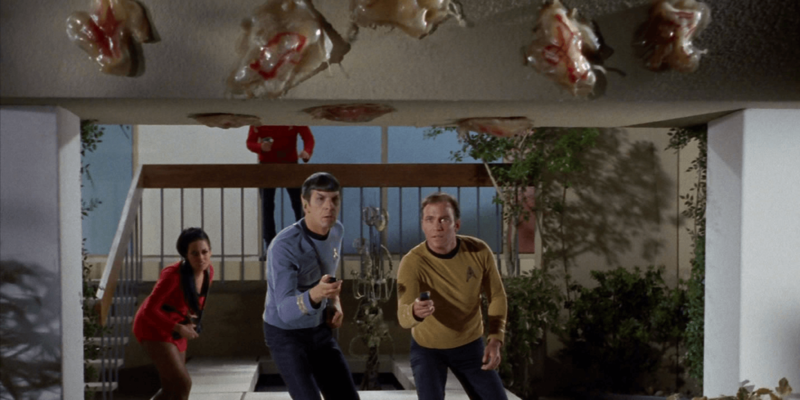 Because of this, we can actually pinpoint exactly when McCoy stepped through and then during the replay when exactly Kirk and Spock should leap through. Using the Canon firing and the Infantry charge as a starting point, we can say McCoy stepped through about 25 seconds afterwards. Since Kirk and Spock show up a little before McCoy they would have to step through the guardian-less than 25 seconds after that infantry charge image. But if you count it, Kirk and Spock step through 56 seconds after the infantry charge, meaning there’s no way they could have ended up in the same century as McCoy let alone before him. When McCoy steps through the guardian he takes a phaser with him. 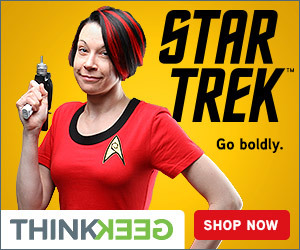 Where exactly did he get this phaser? In order for him to still have it when he steps through would mean that when he was captured no one bothered to disarm the crazy and irrational doctor. Does this make sense? 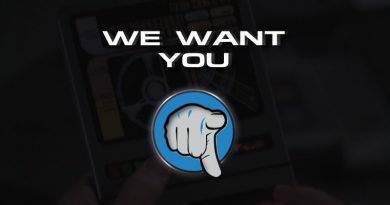 Tricorders seem to have a huge design flaw. They can record information but can only play that information back when hooked up to a computer. does THAT make sense? Why does Spock say that he doesn’t know when Edith Keeler dies? He sees her obituary, doesn’t he? And doesn’t an obituary usually contain the date and time of the death of a person? The end of this episode makes a big deal about Spock’s super hearing abilities, why then on the surface is it Kirk that follows the chirping noise when he and Spock are standing side by side? During the scene where the Enterprise is deploying the satellite in orbit to get rid of the creatures, Sulus at the helm. After Kirk orders all the satellites to be engaged we see a shot of the helm console. Sitting in Sulu’s spot is a redshirted individual, so what happened to Sulu? Thanks for watching today’s episode of Truth OR myth. See something we’ve missed? Leave a comment in the section below, and don’t forget to like and subscribe to channel so you won’t miss any the videos we put out. Thanks again for watching. Live Long and Prosper.